The state budget for 2019 has got the final opinions in the specialist committees in a meeting that ended on Tuesday night to Wednesday, at 3:30 a.m. The budget is entering the joint plenary session today and can suffer further amendments. 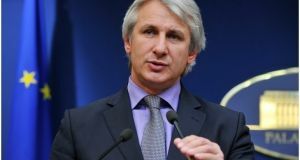 The budget-finances committees in the Romanian Parliament have rejected the amendment filed by PSD chairman Liviu Dragnea to cut the budget of the Romanian Intelligence Service (SRI) by RON 296 million and to redirect the money to the vitamin D health programme. However, the MPs in the budget committees have Okayed the amendment on cutting SRI budget by RON 150 M to implement the programme „Juvenile diabetes”. The committee has voted the amended SRI budget by 20 votes to 13. The SRI representative, general George Voinescu has stated that the service’s budget is not sustainable after cuts. „The situation has gone seriously wrong. It is for the first time that we have a totally unsustainable budget. Unfortunately, SRI has no solution with the current figures. At the moment, a cut by RON 445 million means that the service’s activity is completely blocked. It means we won’t have funds to pay salaries for 4 months, to pay bills for 3 months, it means all projects are blocked (…) the citizen’s security is an essential element and many things that seem normal to us will be jeopardized by the budget constraints. I invite you to make an assessment and to decide what areas of the SRI should not be budgeted, what fields should not be investigated anymore? Our country is among the few European countries where no terrorist attack has taken place. 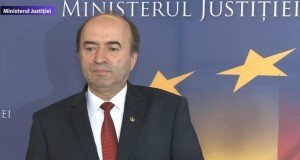 In 2018, we blocked about 6,000 people from entering Romania, more than a half were terrorists,” the intelligence general argued. 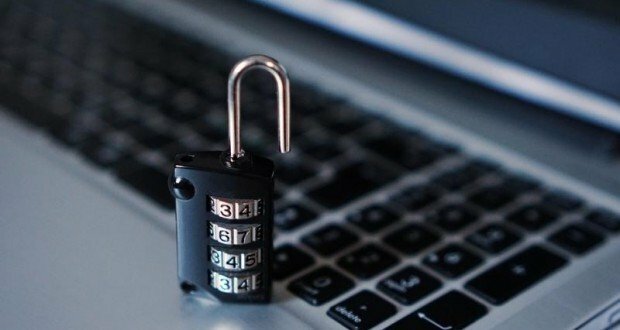 „Imagine a successful cyber attack on the IT structures at the upcoming presidential elections and for the European Parliament. The budget cut is equal to the decline of the SRI operational capacity. We don’t talk about the budget decline, but about the decline of the Romanian state’s capacity. I consider the red line was crossed, the national security is at risk”, general Voinescu added. The Foreign Intelligence Service (SIE) was about to also have a budget cut by RON 30 million, but the amendment has not been voted, so SIE will keep the money to allot to its operations and salaries. Yet, the money is not enough, as the salaries and the staff expenses will not be covered for two months. On the other hand, the The Guard and Protection Service (SPP) has lost RON 50 million after am amendment in this regard has passed. The SPP representative attending the debates in the budget committees warned the budget is at the edge of the service’s performance, warning it comes in a year when Romania’s holding the Presidency of the EU Council and there will many European leaders coming to our country who need SPP protection. The budget of the Permanent Electoral Authority is also down by RON 140 M.
Liviu Dragnea, the Social Democrat leader, has filed several amendments to the budget bill, proposing the cut of the SRI budget by RON 295 M and the cut of the SPP budget.